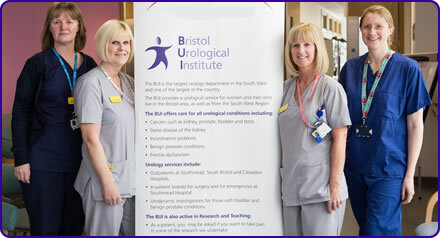 The Bristol Urological Institute (BUI) is a long established research unit. The Bristol urologists have always been at the cutting edge, introducing robotic surgery, pioneering urodynamics, promoting minimally invasive kidney stone surgery and investing in community delivered diagnostics. Teaching has been a major component of our work with our certificated courses setting an international standard and generations of young urologists leaving us with new skills. We need your support to help give more men in Bristol and the South West the very best prospect of recovery and survival through our Prostate Cancer Care Appeal.